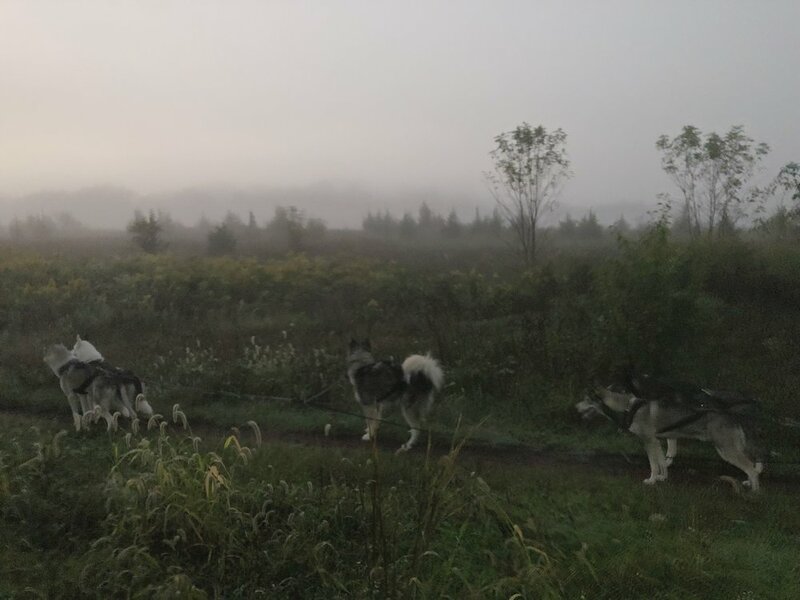 The 2018/2019 mushing season started with a somewhat anti-climatic rainy morning in late September. Last year we started almost a month earlier and conditions are still pretty awful here in the tristate area. We have yet to dip below 50°F with plenty of humidity, which has kept us off the trails except for two short runs. I keep a close eye on the weather at our future homestead. It’s usually about ten degrees colder up there, which is exciting and anxiety-inducing. There’s a lot to get done before the snow falls and the ground freezes, but we’re making good progress. Roy, a musher friend from the area, has been a lifesaver by connecting me with locals for contracting projects, giving me a list of snow plows, and showing me the trail system. He’s also scoping out Craigslist for snow blowers until I get up there. 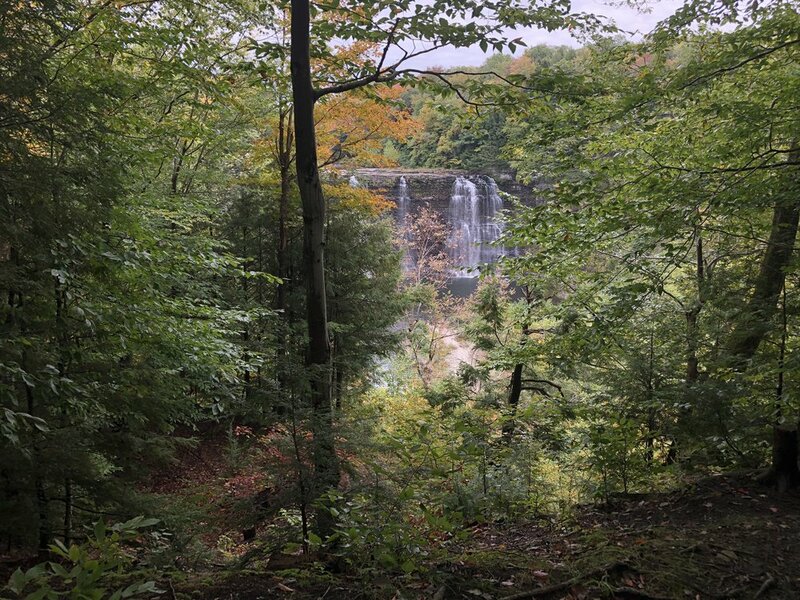 Salmon River Falls—a 110-foot waterfall near the new homestead! The closing date is approaching (scheduled for October 15) and I’m hoping to move in the following week. I met with a fence contractor on Monday, so we already have a plan in place for the first dog yard which will connect to the house and the attached garage. It’s going to be a bit smaller than I had initially laid out, but it’ll cost less in this Very Expensive Time. I’m not yet sure how I want to divide up the property, and this will give me some time to get used to things before I spend money on more fencing. I “only” have six dogs, so the space will be enough for them to hang out and do their business. 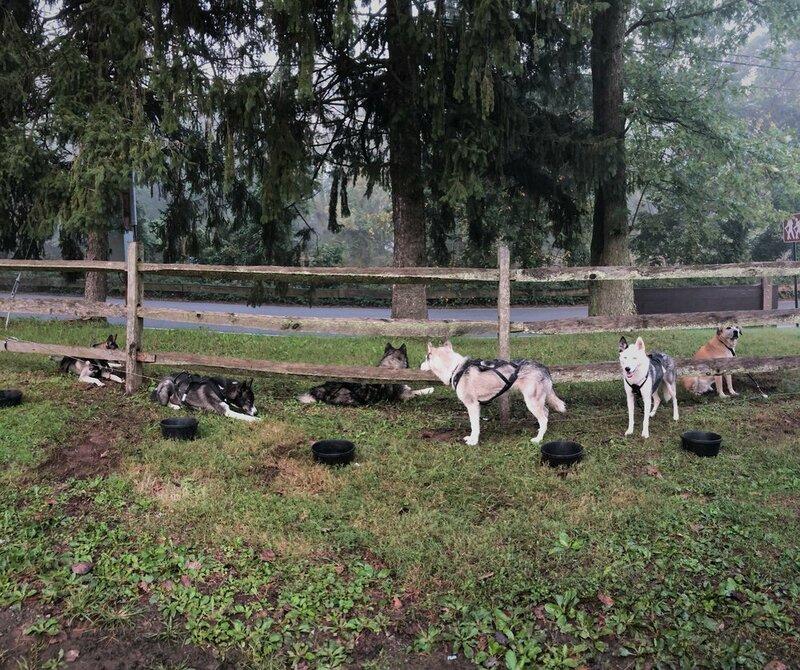 Since it’s mushing season, they’ll get plenty of exercise and shouldn’t mind the small yard for now. When spring rolls around, I’ll put up a large yard with cheaper fencing for supervised play time, and possibly expand on the dog yard. Depending on the pack dynamics, we may need an entirely separate, secondary dog yard. There’s plenty of time and good reasons not to rush these plans, I just need my OCD to understand that. In other news, I’ve purchased a dog box! 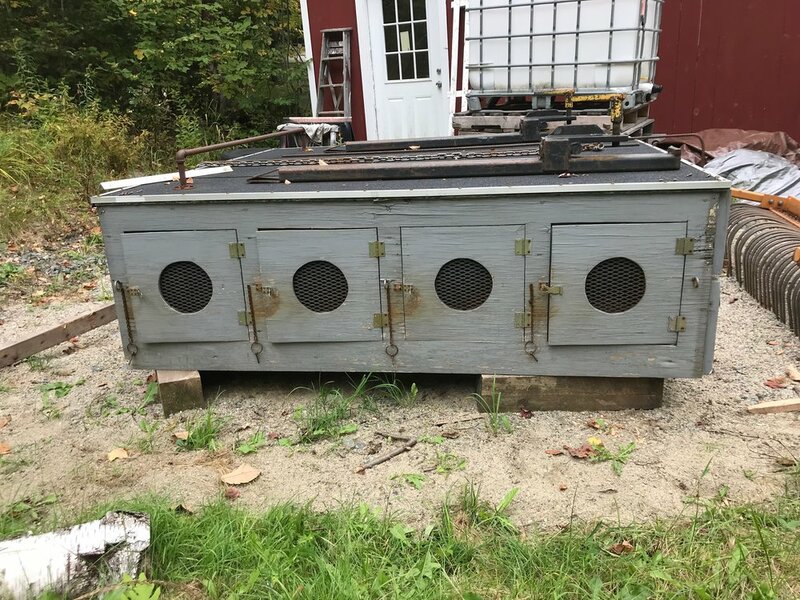 It’s currently in New Hampshire, waiting on me to get a pick-up truck to mount it. Hopefully that’ll be the next big purchase, after the house closes, so I can handle the upstate winters with 4-wheel drive. Most mushers I know swear by building their own dog boxes. They’re pretty simple to make, I just don’t have the time to pull it off myself. Plus, I’m looking forward to having a pre-existing box to use as a template for my own future constructions. The new homestead has an enormous pole barn with a heated workshop. It’s about time I revisit the wood shop skills I learned in 6th grade. We’ve got a few weeks left here in the garage. Temperatures remain steadily warm, but I hope to get more runs in before the big move. I’m crossing my fingers that snow season comes late and stays late this winter, and we’ll make up the miles after we’re all settled in. Here’s hoping that my next post will feature keys in my hand!